Technological devices are supposed to bring us heightened levels of convenience. 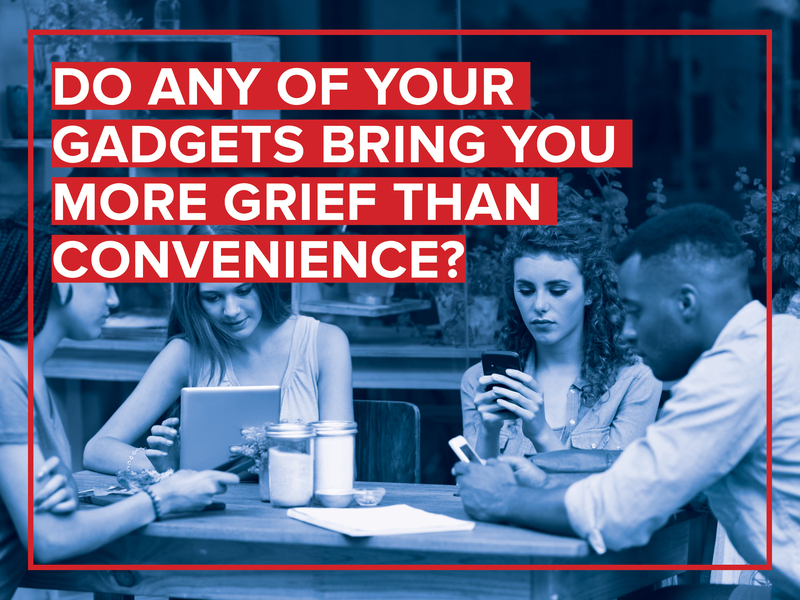 But sometimes, between the endless distractions they offer and the hassle of making sure they’re adequately charged and working perfectly, gadgets can bring more grief than convenience. Of course, you may be so addicted to your device that you won’t even realize it. Take a moment to step back and think about it: Do you own any gadgets you wish you didn’t? Which devices do you think you’d be better off without? Would you ever give them up? Why or why not?